It is that time of the month again when that colassal herd of bakers thunder across the blogosphere depositing all over the plains of foodblogging our monthly contribution to create a global sugar shortage. In other words, today is the Daring Bakers posting day. This month, in case you've been hiding under a rock this morning, we are making Chocolate Eclairs from Chocolate Desserts by Pierre Herme . In the course of my eighteen months as a Daring Baker I have had the pleasure of making pate a choux, pastry cream, and lots and lots of chocolate glaze but I hadn't been able to put them all together, until this month that is. Thus using one of Lisa's husband's Sharpies to cross off my baking bucket list, eclairs. The Culinary Institute of America defines chocolate eclairs as "Loaded with a creamy filling and its delicate, flaky pastry glossed with chocolate icing, the dessert eclair has withstood the test of time as a pastry favorite." And if those eclairs are from the genius of Pierre Herme from a cookbook written by patron saint of Daring Bakers, Dorie Greenspan then that is even better! I'm not going to bore you with a step by step and blow by blow play of how the recipe went together and/or any kitchen disasters/triumphs as there are over 1,000 blogs of my fellow DBers to provide that entertainment. I'm just going to tell you that these eclairs were pretty easy to make and resulted in a mind blowing impressive dessert, just ask Erica and Chris who shared some with me one evening. The pastry cream alone is worth doing this recipe for and I guarantee you will want to find a million uses for it, including facials and well....this is a family blog so I won't go into details but trust me, you and your partner could have a lot of fun with it! And for a late night post fun raid of the fridge, you can have leftover eclairs!! Meeta of What's for Lunch Honey and Tony from Tony Tahhan are hosts for our challenge this month and you can find the recipe on their blogs if you want to give the king of desserts a try. Or, if you want to oogle hundreds and thousands of eclairs without putting inches on your hips I suggest you head over to the Daring Bakers Blogroll and get your fill. Also, a heads up, I'm taking a break for a few months from Daring Bakers to take care of some personal and professional things going on in my life as well as to refocus my baking/cooking. sings in the reel version (he-he) of "The Women" (not that drivel they are showing in the movie theaters this summer/fall), "Don't talk about me while I'm gone...."
I love helping people in the baking supplies aisle at the store. Call it the teacher passing on her passion in me if you will. Tonight, I stopped by Whole Paycheck to pick up some honey for a dish I'm baking with Sara, some milk for a throw down with friends tonight, and some more of those addicting chicken sausages for the Labor Day weekend (I know....). While I was trying to see if they had some orange water to add to the dish I'm baking with Sara, a clerk came into the aisle with all the baking supplies with a woman in tow to show her several muffin mixes. While they were talking about the pros and cons of different mixes and asking each other and another shopper in the aisle as conversation was struck up and come to find out, she was going to be making muffins for about 30 people. She would have had to purchase six boxes of muffin mix to accommodate that many people as the mix she was looking at only made 6 - 8 good sized muffins (planning on 1 1/2 muffins per person). It was decided she was going to do apple cinnamon muffins. I gave her a short cut to having to peel and dice apples by using a large jar of apple pie filling and a small container of apple sauce. We discussed a few tips and I handed her my baking card with the offer of if she had any questions email me and in fact, email as I would give her my master quick bread recipe. I then thought on the drive home, she can't be the only person who faces large scale baking issues. When you reach numbers like that, you are much better off baking your own from a recipe versus a then thought box, especially when you are talking about something as easy to put together as muffins. Especially since by the time you put together six boxes of mix you could have put together one or two large batches of batter from scratch. Muffins are just about the easiest things to put together and they are pretty darn no fail. Pre-heat oven to 400 degrees. Crack eggs into bowl, making sure there are no shells and set aside. In large bowl, sift together flour, sugar, salt, baking soda, and cinnamon. Stir in eggs, vegetable oil, milk, apple pie filling and apple sauce. Batter should be thick but moist. If it is too dry, add a little more milk until you have a batter the consistency of thick brownie batter. Using an ice cream scoop or soup ladle sprayed with cooking spray, fill 2/3 full muffin tin lined with cup cake papers and sprayed lightly with cooking spray. Top each muffin with a sprinkling of granulated sugar to add a crunch to the top and bake for 17 - 20 minutes or until a tooth pick comes clean inserted in the middle of a muffin in the center of the pan. Allow muffins to cool for 2 -4 minutes in the pan and then turn out and finish cooling on cooling racks. Repeat until batter is gone. One year ago today I walked into my apartment along the shores of Long Island Sound with a box marked "Important Items for LB and Me" in one hand and the cat carrier in the other. It was the end of an unexpected journey that began two months earlier. After placing LB's litter box, his food, and water bowl down on the floor of the bathroom, I unpacked from the box under my arm a ratty and worn blanket and placed it on the floor in a pile so that one wall and the bathtub formed a snug comfortable corner. I then opened the carrier and let LB out; giving him a few minutes of love before shutting the door to let my parents and the friends who had come to help me move into the apartment with the first load of many, many loads of my possessions. This week has brought some finality to my move to Connecticut. While I still love Boston and do believe that one day, and probably not in the too distant future, I will return to live there, the ache of leaving has finally been replaced with the warm glow of fond memories. To my great amazement, I have formed lasting bonds with my new place of residence and the people who surround me here and in ways I never formed bonds with Boston. I have many good and dear friends in Boston but Boston being Boston and that portion of New England being well, that portion of New England with the exception of those few friends, I never made connection with my neighbors and colleagues the way I have here. Northern New England can be a hard place to live if you are not "from there". I think I had lived there for ten years before someone finally told me, "you've been here long enough now that we figure you aren't going anywhere soon so we may as well start talking to you". Apparently, according to the New York Times this past week, that point of acceptance is somewhere between twelve and eighteen months. I believe it too. Because here, I've gotten to know and become quite friendly with my neighbors, with the exception of the woman who just moved in behind us who insists on sharing her most intimate details of life with the entire neighborhood when she stands on her backporch at all hours of the day shouting into her cellphone and screaming and throwing things at the people who party on her back porch "to get out of her house" at 2am resulting in multiple visits from the police....but I digress. I have developed what I consider close and lasting friendships with quite a few people and yes, I now know my way around the subway system of NYC and the city for that matter well enough to now direct lost and upward looking tourists to their destination. This week, as the first blush of fall made itself known at night with temperatures that dipped into the low 50's and afternoon temperatures in the low to middle 70's, I found myself reaching for a blanket to ward off the chill either early in the morning or when napping. It is the same blanket that one year ago I pulled out of the box and carefully arranged for LB to curl up in one year ago. 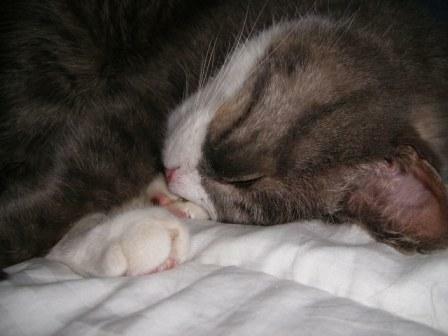 There is something about that blanket, a blanket that I have had for forty years, that LB loves. 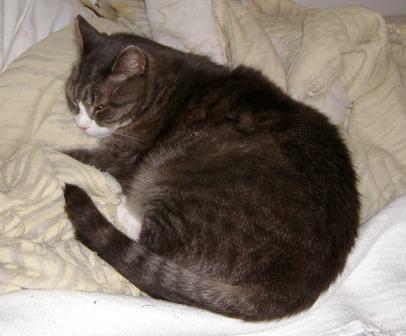 When ever it makes its appearance he comes and starts kneading and rolling on the blanket before finding a section to curl up and take a long nap. At first, I tried to stop him from doing that because of its rather delicate state, but now I find comfort in his wanting to make my nap blanket his. 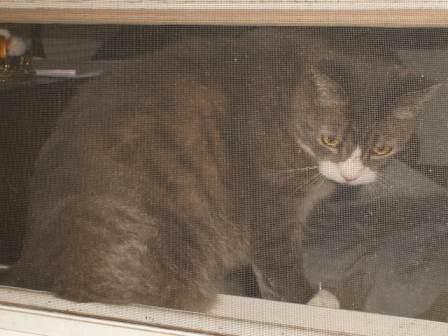 It is as if he is making me completely and totally his and, in a way, showing me that when he wandered onto my porch on that rainy day almost ten years ago to this day, he was finally coming home. It has been been a long time since I last participated in my online wife's (he-he!) Weekend Cookbook Challenge. Not because I haven't wanted to but rather with all the craziness in my life and schedule, I haven't had time for all the online food events I would like to participate in every month. But when I saw this month's theme of "Get Your Grill On", I figured since I have spent so much time grilling this summer, I probably could figure out a way to participate; besides, I don't want to be in the dog house since Sara is hosting this month. Last weekend, I went to some dear friends house to help them christen their new Kitchen Aid mixer with a round of pasta making. I had a fabulous time with them and some of their friends from New Jersey who came up to help. We had a wonderful bread salad with good sweet Jersey tomatoes while we waited for the dough to relax and then built up an enormous appetite making about 4lbs of fettucine. To serve with the pasta, we had some incredible "gravy" (spaghetti sauce) and chicken Italian sausages from Whole Paycheck. I have to admit, I had my reservations about Italian sausages made from chicken but one bite of these and I was hooked and hooked in a bad way. So much so that on Sunday, I drove to the Greenwich location and some sausages and grilled them for dinner that night. 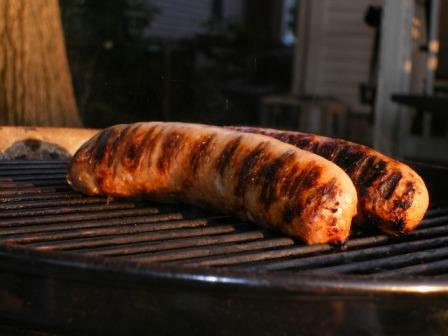 Now even though I would like to think so, I can not live on grilled chicken Italian sausage alone. One needs to have a salad to go with them. Since I felt guilty about purchasing the sausages and sorta-kinda cheating on the Pantry Plan (the sausages were only $4.21 and were almost half of the $9.00 I spent on groceries last week), I was determined to stick to making a salad out of the ingredients I had on hand. Digging around the pantry, I found I had 1/2 a bag of tri-colored rotini pasta. 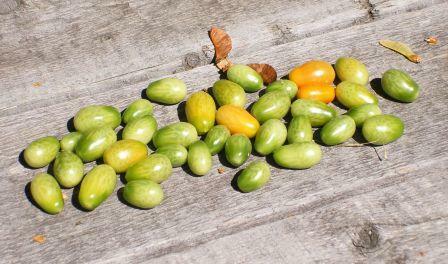 I also had a tone of ripe grape tomatoes and a green bell pepper from my garden that needed to be used. These were all I needed to make a pasta salad I haven't made in a while from a cookbook I haven't opened in almost two years. The cookbook I used for this challenge is one I've used for WCC before way back for Weekend Cookbook Challenge #3, Simply Delicious Cooking by Ron Kalenuik. The original recipe calls for broccoli and green onions, which I normally use but since I didn't have either on hand and I wanted to keep within the spirit of the Pantry Plan as much as possible, chicken sausages not withstanding, I didn't use them for this version of the salad. 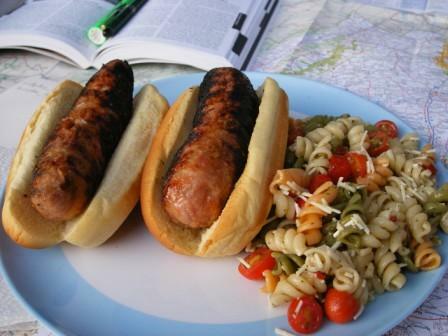 The salad is an excellent side dish for anything you throw on the grill: chicken, steaks, hamburgers and hot dogs. Cook pasta to al dente, cool with cold water to stop pasta from cooking, drain and set aside. Prepare pepper, tomatoes and combine with pasta in large bowl and set aside. In medium bowl, whisk remaining ingredients including and add salt and pepper to taste. Pour dressing over pepper, tomatoes and pasta and mix well. Chill for 4 hours before serving. 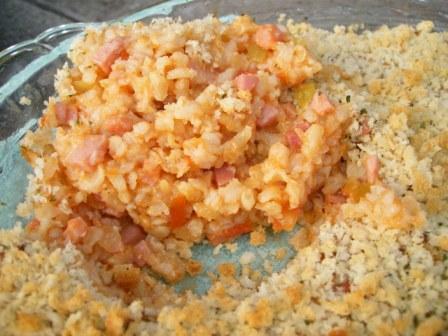 Mix in cheese just before serving. Now, I know that recipe isn't exactly 100% in keeping with the monthly theme Sara picked for Weekend Cookbook Challenge. 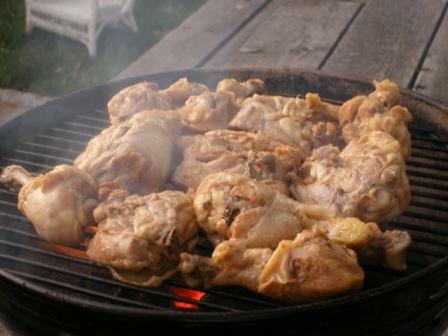 So, I offer one more dish for this month's WCC in the form of my favourite way to make chicken on the grill with a family recipe, my Aunt Jan's Chicken. This recipe makes a brine that you boil the chicken in and then use the brine as a basting sauce. 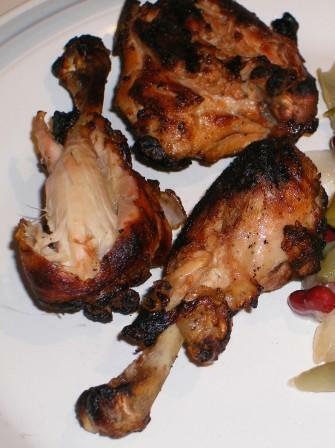 The best pieces of a chicken to use for this recipe are legs and thighs. But breasts are pretty tasty too and the brining makes them super tender and moist. Bring ingredients to boil and add chicken. Boil chicken for 15 minutes. Remove chicken from brine and remove two cups of brine to use a basting sauce. Grill chicken for about 5 - 10 minutes until chicken if finished cooking, basting and turning the chicken often. Can you believe how fast this summer went? In three days the year of 2008 will be two-thirds over! How come as you get older time seems to fly by faster? Is it because we are so much busier than we were when we were children? Or do we try to do too much these days? One way I can judge the passing of a month is with the Bread Baking Babes posting date, like today. I have to tell you that this month was a tough month for us to decide what to bake. We tossed a few ideas around but one thing became evident at the beginning of the month, we wanted to do a light, flat bread to go with the lazy and hot days of late August. 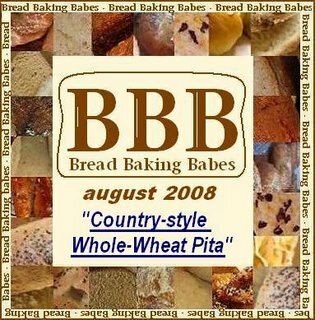 Finally, Ilva of Lucullian Delights suggested we do a whole wheat country style pita bread from Beth Hensberger's The Bread Bible . Most of us have had pita bread on our bread bucket list and pita bread is one of the most versatile breads. You can make a wrap with it. You can eat it spread with peanut butter or dipped in a sauce. 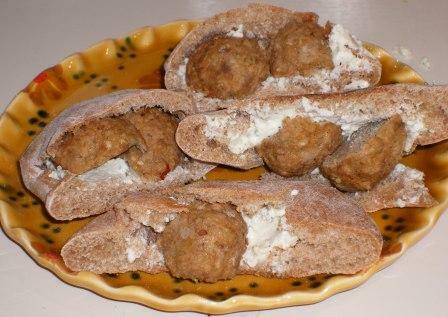 Or you can do what I did with it: stuff it full of meatballs and left-over ricotta cheese stuffing! The dough came together quickly and forming the pita bread was easy. The recipe says it makes sixteen but it is only me so I halved the recipe like Tanna. Like Tanna says in her post, don't worry if you don't get pockets in all of them. The bread is super tasty any way it turns out. If you have a hankering to see how the rest of my fellow Babes, A Fridge Full of Food (Glenna), Bake My Day (Karen), Cookie Baker Lynn (Lynn), I Like to Cook (Sara), Lucullian Delights (Ilva), My Kitchen in Half Cups (Tanna), Grain Doe (Gorel), Notitie van Lien (Lien), Living on Bread and Water (Monique) go see their posts! 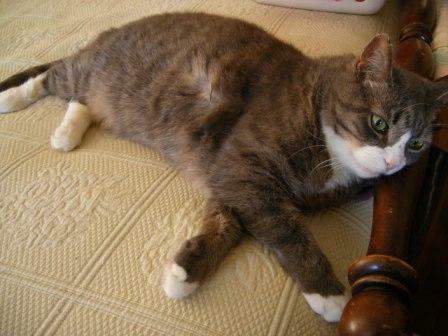 Katie is taking a break while she moves to her new home. 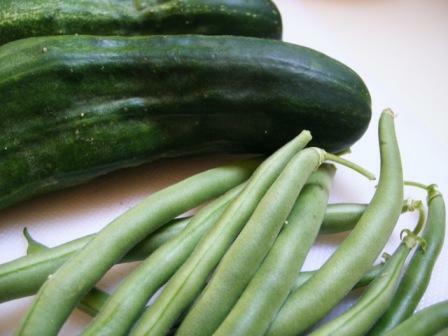 Tonight, after harvesting the last of the green beans, cucumbers, and peppers, I began to dismantle the garden in preparation for fall. 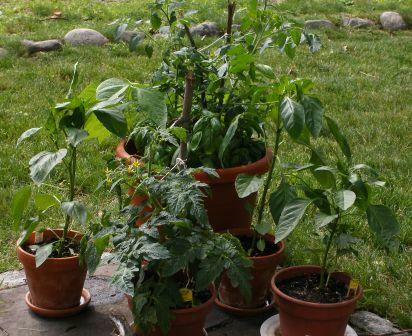 Since the growing season here in New England is so short, even though there were still flowers on the pepper plants, the first frost would be here before the fruit was ripe so I pulled the pepper plants; the same with the cucumber and bean plants. 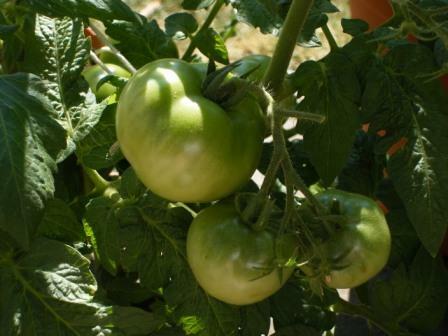 This weekend I'll plant the fall spinach and lettuce, prepare the soil in the containers for a long winter's sleep and when the snow flies in February there will be canned tomatoes from the Garden of 2008. Hard to believe that this weekend is Labor Day and that summer has come and gone so quickly. Today we had one of those brilliant blue sky days with low humidity and bright sunshine. 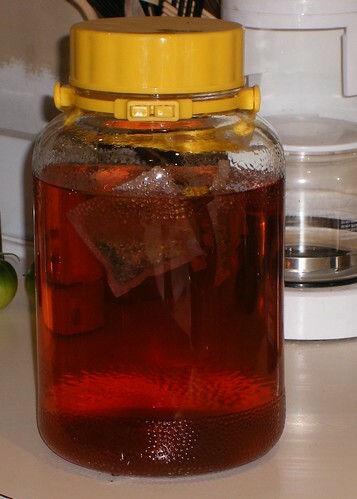 Before I went to to work, I pulled out the sun tea container, filled it with water and tossed some Raspberry Zinger tea bags into the container. I then placed it where it gets the most mid-day sun and drove off. When I returned home from work I had a nice container of tea waiting for a tall glass of ice and me. Tonight, it was the perfect way to wind down while I watched the bats play in the dusk and the first geese of the season start south. A few days ago, I posted about The Omnivore's Hundred put together at Very Good Taste. This past weekend, while catching up on a few of the food blogs I saw on Dog Hill Kitchen a list of one hundred foods a vegetarian should not miss. 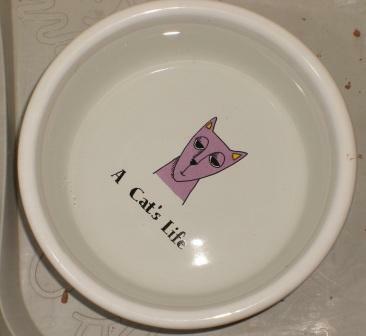 The list was compiled over at Feeding Maybelle and, while I am not a vegetarian, I do try and eat a vegetarian meal at least once or twice a week. So, I thought I'd see how many of these foods I've had. Feel free to play along. Rules are the same as the Omnivore's Hundred, bold the ones you've had and cross off the ones you aren't interested in trying. 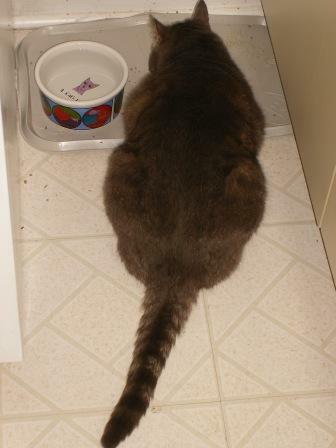 Feel free to leave a comment over at Feeding Maybelle with your results! Note: "?" links to what it is in case you need to know. as long as Mom has left me something to prop my head on while I nap, I'm a happy cat! Weekend Cat Blogging is being hosted by Samantha, Mr. Tigger, and Mom Chandra at The Squillion Worlds Spin. Go check out what the other kitties are up to this weekend. It is hard to believe that it has been almost a whole year since I moved from Cambridge, MA to East Norwalk, CT. It is even harder to believe that it has been almost a year since I last featured a neighborhood eatery on the pages of The Sour Dough. Even harder to believe is that in that year, it took me until this past May to make it to the very first restaurant I noticed when I moved to the neighborhood, Partner's Cafe and Pizzeria. From the very first time I walked into this cozy neighborhood spot, I felt like I was coming home because regardless of whether it is your first time there or you are a regular, the Spinola's and their friendly staff greet you like family or a long lost cousin with a huge hello. This is definitely a neighborhood type of place where, just like Cheers everyone knows your name. Even better, it is exactly three blocks from where I live so I can walk down anytime I feel the urge for a beer and wings or a nice salad. In fact, I haven't felt this at home since I was living in Clinton, Ma and called The Old Timer home, so that is saying quite a lot! Partner's has two sides: the bar side that has an oak colored bar with a few tables for dining and the restaurant side that is small but can easily accommodate a good sized party. The bar is well stocked with all the standard beers including the one that is a requirement for me to even begin to consider it as my "local", Bass Ale and they have all the fixings for just about any cocktail you can think of. You can get the same menu on both sides; which I find great for dining alone with a book or newspaper. 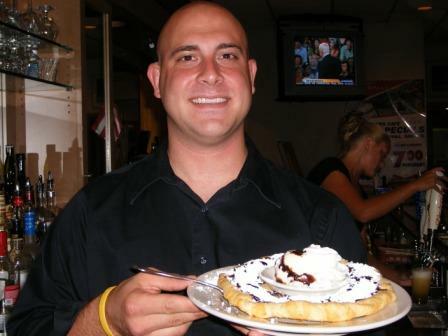 The menu is diverse ranging from the typical bar fare to the full dinner of steak. The leaning is towards the Italian end of the spectrum as is fitting but if you want something a little different, don't hesitate to ask. Chances are they are able to adjust any dish to your liking. On one evening when Erica, Chris, Erica's sister who was visiting and I went down for dinner, Erica's sister asked for just steamed veggies and some rice and they were more than happy to fix her exactly what she wanted! Try to do that in NYC or for that matter in some other little neighborhood joints. Partner's is known in the area for their thin crust pizza and as someone who prefers super crispy thin crust, I can tell you I haven't had this good of thin crust since I was in Italy. It stays crisp no matter what you put on top and that is the sign of a good recipe for crust. My personal favorite pizza is a sausage, mushroom and onion light on the sauce. It is even listed as my craving of the moment on my Foodbuzz profile because this pizza is so good all I have to do is think about it and I'm ready to run down three blocks and order up on. It is that good. 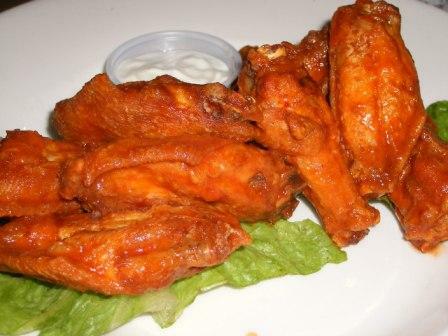 They have a few happy hour specials that run during the week including Wine and Wings on Wednesdays where you can get a glass of wine for $5 and an order of wings for 10 for .20 with a limit of 2 orders. You can normally find Chris, Erica and I there on Wednesdays partaking of some of the best wings I've had outside of Buffalo regardless of how hot or mild you like them. And speaking of specials, let me tell you about a special dessert that they don't have on the menu but if Ernie is working you can get, the Freta Sundae. 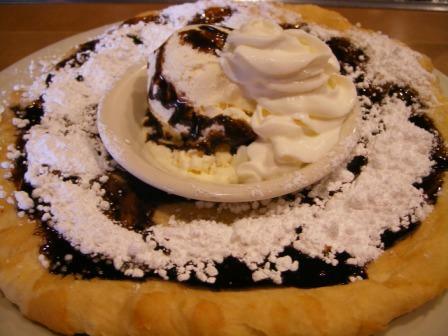 This delicious, no strike that, this decadent dessert is Ernie's invention and consists of a disc of fried dough covered in chocolate sauce, powdered sugar and whipped topping and served with a bowl of Hood vanilla ice cream. It is like eating a gigantic flat donut covered in two of the best things known to man, chocolate and ice cream. I could just eat this for dinner but trust me, it is more fun to share with a friend. You tear off a piece of dough and put a dollop of ice cream on it and eat it. It is slightly messy but oh so good! Ernie is hoping to have it on the menu full time soon and I hope it makes it to the menu because I can't imagine a trip to Partner's without ending a good meal with one of these. 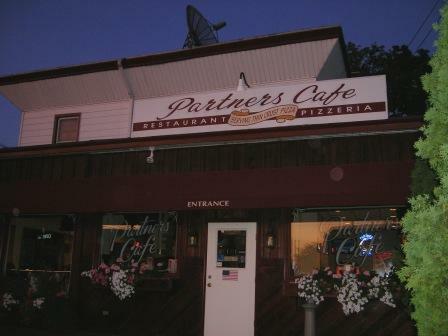 Partner's is located on the corner of Cove and 1st Street in East Norwalk. They are open seven days a week at 11:30am, serving food until 10pm and pizza until 11pm. The bar is open later and you can get take away. Prices are reasonable and service is excellent. When this month's issue of Saveur arrived I knew the minute I saw this recipe I would be making it. 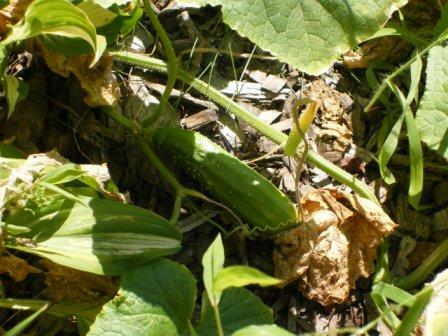 First, like everyone who has zucchini, by this time of the summer like everyone else, I'm swimming in zucchini. Second, I love ricotta stuffed anything and I always have a tub of it in the fridge. 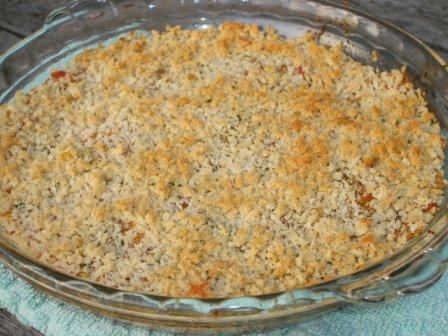 This recipe was super easy to put together and the filling was so delicious that I plan making it again stuff some eggplant I have in a fridge and to fill some large pasta shells in the pantry. I made some adjustments for my own personal taste and to match some ingredients I had on hand to keep the recipe Pantry Plan friendly. If you are in danger of being buried by an avalanche of zucchini, go pick out a few same sized ones, call some friends over for dinner, and make these! You can cut them up into small sizes as appetizers or cut them in half to serve as a sides to nice grilled chicken breast or they make a the perfect summer main dish with some sweet corn salad. Scoop out and discard the pulp from each zucchini half, leaving as much of the meat intact as possible. Heat 3 Tbsp of the olive oil in a large skillet over medium heat. Add onions and saute until soft and then add garlic, cook for 2 minutes more or until you smell strong smell of garlic. Remove from heat and set aside. In a medium bowl, stir together remaining ingredients except egg. Add salt and pepper to taste and stir in egg. Set filling aside. Arrange an oven rack about 7" from broiler element. Brush insides of zucchini with remaining olive oil and season with salt and pepper. Broil zucchini, oiled side up, for about 5 - 7 minutes until flesh is just starting to soften. 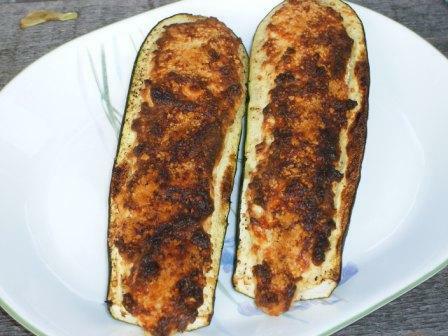 Remove from oven, fill with each zucchini half with ricotta cheese filling (about 1/2 a cup per zucchini half), sprinkle desired amount of fresh grated Parmesan cheese on top and broil until the zucchini are soft and the tops of the cheese are browned. I'm headed to the Blog Party again this month and I'm telling you it is going to be a gas because our bad hostess Stephanie has opened the front door to her rad pad and she has bitchin' and twitchin' tunes spinning on the hi-fi as we all file in for the 37th edition of her popular blog party. This month's theme is retro recipes from the 20's through the late 60's and I can't wait to spend some time hangin' with my buds. If you haven't figured it out yet, I'm delving back into the Sixties again for this month's blog party but instead of the Camelot years of last month's contribution we are heading for the Summer of Love for my retro contribution this month with a trio of classic summer salads from the Better Homes and Gardens Salad Book circa 1967. 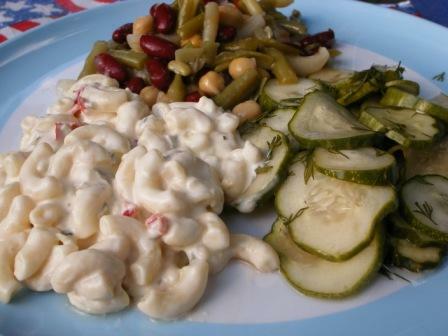 It doesn't get more classic than these three salads: Four Bean Salad, Macaroni Salad and Cucumber Dill Salad. There wasn't a picnic or back yard party of that era that didn't feature these three salads and for the most part these salads are still mainstays of the picnic set. The salad that I thought most captured this era was this version of Cucumber Dill Salad. 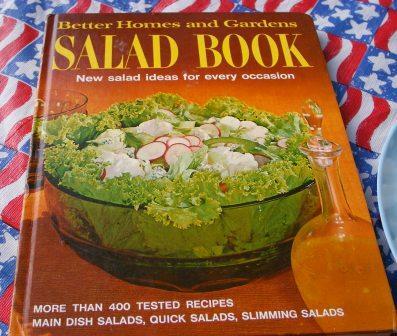 It is from the "Slimming Salads" section of this cookbook and this recipe calls for 1/4 cup of liquid saccharin. I didn't use saccharin instead I made a sugar syrup to keep the liquid component of the recipe. For my drink, I am sticking with the slimming theme and bringing a six pack of that defining diet drink of the 60's, Tab! 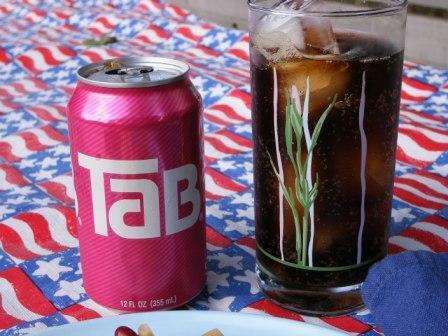 Yes, they still make Tab and if you are of a certain age, like me, this probably was your first diet drink and you stole it from the fridge where your Mom kept her stash. Amazingly, it still contains saccharin. Pretty keno huh? It tasted just like I remembered it tasting but unlike today's diet drinks that are loaded with aspartame it didn't give me a headache. I'm not saying I'm going to be having a soda every day but instead of dumping the rest of the six pack down the drain, I'm stashing it into the pantry for those days I'm craving a soda. Make sugar syrup and set aside. Slice cucumbers and onions and put in large plastic container with a lid. To sugar syrup add vinegar and salt, mix until completely combined. Pour over the cucumbers and onions and stir in dill. Let salad flavors meld for 6 hours or overnight before serving. One of the most pleasant surprises for me came this weekend. I opened a can of sardines in mustard sauce for a quick and light lunch on Sunday. While the sardines warmed over a candle, I made homemade melba toast with some left over bread and sliced some some good Dutch cheese I have been hoarding since Arden's visit to go with the warmed sardines. As I waited for the melba toast to finish, I looked up at the picture that sits on top of my bookcase in my kitchen of my grandfather and I sitting at the end of his dock, fishing poles in the water and a picnic basket at our feet. Inside that picnic basket was a tin of sardines, a package of saltines and some cheese; the meal we always shared when we were fishing together, and that meal was a special as the time we spent fishing. Blowing a kiss towards my grandfather, I sat down at my breakfast bar, opened the book I was reading and proceeded to have a very pleasant lunch. I have The Pantry Plan to thank for more than helping me save money and empty my pantry. I have The Pantry Plan to thank for reminding how good sardines are and for letting me savor such wonderful memories of the time I spent with my grandfather. I didn't shop for food at either the store or the Farmer's Market this past weekend. 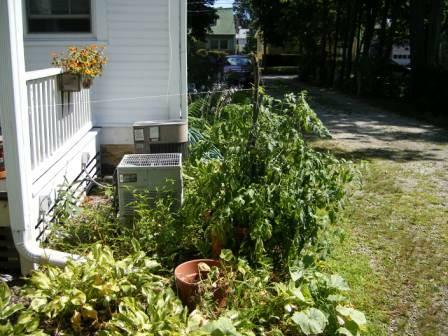 I still had plenty of veggies from last week, my milk is good, and my garden is just going gangbusters. So, the total for groceries this week is $0.00. I saw this yesterday on Stephanie's blog and, considering I'm elbow deep into a mass of soft dough tonight and re-organizing my food wares at the same time, this will be the perfect quick, simple but fun post. It is a list from Very Good Taste on the 100 foods any self respecting ominvore should try at least once. Judging from my results, 88 out of 100, I guess all that world travel and not being a picky eater paid off! Feel free to play along. 4) Optional extra: Post a comment here at www.verygoodtaste.co.uk linking to your results. It's Saturday around here but that didn't seem to stop Mom from waking up really early and leaving to go back to Boston for the day to have brunch with some friends and take care of some business she had. I thought she had made a mistake and forgot to turn off her alarm clock. You know how forgetful Mom has been lately. But she told me she meant to wake up that early. 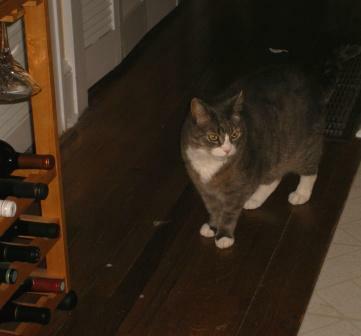 I just gave her one of my looks that told her I was not amused by all this early morning activity on the weekend; especially since it forced me off the nice comfy bed and onto the cold wood floor in the hallway. 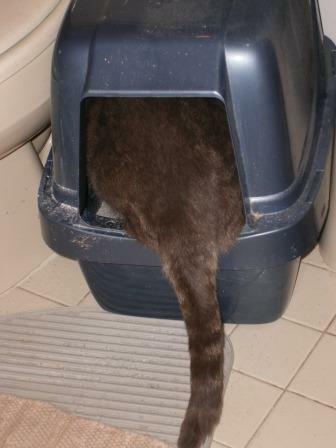 and making sure everything is as it should be in the litter box after she cleans it out. I'm telling you, I'm counting the days until she leaves on that vacation in the middle of September she started planning this past week. Maybe then there will be peace and quiet around this house and I can get down to the serious business of scaring the stupid squirrel eating Mom's green tomatoes on the back porch. 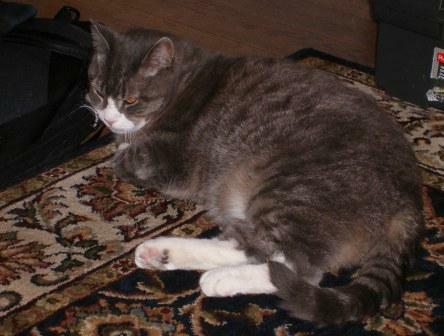 Our hearts goes out to the family of MontyQ, a frequent participant in WCB , who lost their sweet baby, Violette Noelle. 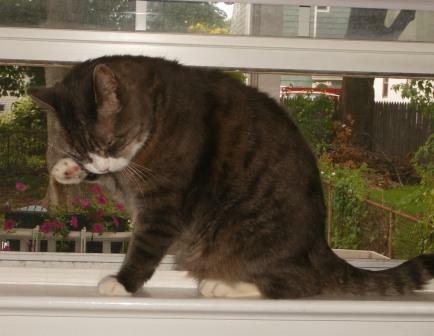 This weekend's Weekend Cat Blogging, which is being hosted by Amar and Luna at CatSynth, is dedicated to her and her family. 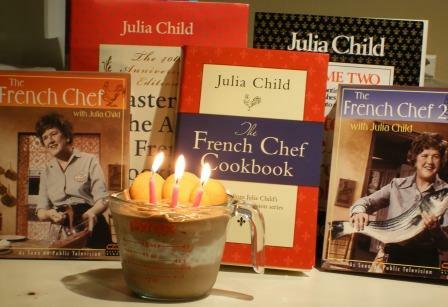 Today would have been Julia Child's 96th Birthday and all over the food blogosphere you will see tributes to the grand dame of American cooking. To check out a few, head over to Champaign Taste and check out the round up of Lisa's 3rd Annual Julia Child Birthday Celebration. You already know that Julia Child was a huge influence on me. So much so, that when it came time for Sara of I Like to Cook and I to host the February Daring Baker's Challenge, we both knew there would be only one recipe we would want to do: Julia Child's French Bread. My post on her incredible French Bread recipe is the number one visited post on The Sour Dough. What you may not know is that I had a chance encounter with Julia Child while both of us were still living in Cambridge, MA. Harvard Square, near where both of us lived, had four very fine gourmet food shops: Cardullo's, the long departed Harvard Square Wines, Formaggio Kitchen and Savenor's, who left after a fire but has returned to it's original location on Kirkland Street. During the final year that Julia lived in Cambridge, I had the wonderful opportunity to meet her quite by accident while both of us were shopping at Cardullo's. I had stopped in to pick up some cheeses, teas, and a few other hard to find European goodies and had placed them carefully into one of those little baskets that Cardullo's provides. Cardullo's is a tiny shop that is packed to bursting at the seams with narrow aisles. It has only one register and often there is a line where you practically stand on top of each other waiting to check out. While I was standing in line reading the signs posted near the cash register about expected arrivals and reminding customers that charges weren't accepted below a certain dollar amount, I glanced down just in time to see this large hand reach into my basket and pull out the chunk of Roquefort cheese. I turned around to give the rather presumptuous person a piece of my mind only to encounter the towering figure of Julia Child. She proceeded, in that distinctive voice of hers, to tell me and everyone else in the line about how much she enjoyed Roquefort, how she liked to serve it and how fantastic it was crumbled into a cheese souffle. Instead of giving Julia the what-to for grabbing cheese out of my basket, I just stood there stupidly nodding my head and trying to get my brain to form a coherent thought beyond, "Oh my God, that is Julia Child standing there waving my hunk of cheese around and telling everyone around us how to use it". When it was my turn at the register, Julia handed me back the cheese and told me to enjoy it. I think I was able to mutter, "Thank you very much Ms. Child" but I don't remember because I was still in awe of being that close to my cooking idol. Not long afterwards, I heard that she had moved full time to Santa Barbara and her famous kitchen was headed to the Smithsonian but those brief moments in her larger than life presence will be a cherished memory until the day I die. Lately, I've been craving something light and chocolate and I can't think of anything better than Julia's Mousseline Au Chocolate. Don't be put off by all the steps involved. This is easy and results in a fantastic dessert or filling for cream puffs. From the 19th Show of "The French Chef"
Place chocolate and coffee in a small saucepan and place over a larger pan with hot water or in the top part of a double boiler hat water underneath. Stir for a minute or until the chocolate begins to melt and then let it melt over the over the hot water while you proceed with the rest of the recipe. Place egg yolks in mixing bowl and start beating with whip while gradually pouring in the sugar. Continue beating for 2-3 minutes until mixture is thick, pale and forms a slowly dissolving ribbon when a bit is lifted and falls back onto the surface. Beat in the liqueur or orange juice and set the bowl in a pan of almost simmering water. Beat at moderate speed for 4 - 5 minutes or until foamy and warm when tested with your finger. Remove bowl from hot water and either beat the mixture in mixer for several minutes until cool, or set in a bowl of cool water and beat with whisk. It should again form the ribbon and have the consistency of thick, creamy mayonnaise. Immediately turn the mousse into a lightly oiled 6 cup metal mold, a serving bowl, or individual cups. Cover and chill for several hours or overnight. If you are unmolding the mousse, dip mold for several seconds into hot water, run a knife rapidly between edge of mousse and mold, and turn a chilled serving dish upside down over mold; reverse the two, giving a sharp downward jerk, and the mousse should drop into place in a few seconds. Serve with whipped cream flavored with powdered sugar and liqueur. or Royal Milk Biscuits as good substitutes. Both are long time New England crackers made by Nabisco regionally for over 100 years. You see today, while looking for links to hardtack and my recommended substitutions I discovered the awful truth that both have been discontinued by Nabisco. Apparently neither provide enough sales to satisfy the corporate greed of the bean counters at Kraft, the large behemoth food company; regional tradition be damned. 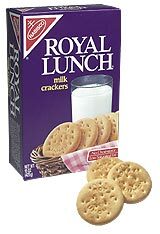 This isn't the first time that Nabisco has discontinued the Crown Pilot. In 1997, Nabisco announced they were discontinuing the traditional chowder cracker but a large protest by New Englanders, spearheaded by the folks of Chebeague Island in Maine, and people from further afield brought the cracker back, much to my and every other New Englander's delight. It appears that we will have to try again to save our beloved crackers. 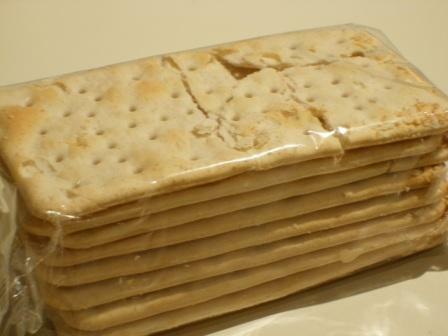 Unfortunately, it isn't only these traditional New England crackers that have disappeared from the American regional foodscape. In the South, they are lamenting the loss of White Lily Flour from its traditional home of Knoxville, TN. Apparently when that other large conglomerate Smuckers bought White Lily and Martha White, it decided that moving the milling of this traditional Southern mainstay to Northern climes would be fine and promised that the flour would be same, because after all flour is just flour right? Wrong. 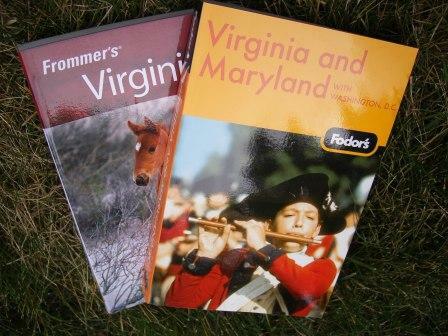 Reports from some long time Southern friends and on Chowhound seem to indicate differently. Not to mention if anything besides providing hours of laughs and joy with my fellow Babes, all the Bread Baking Babes breads have proven that flour is a very regional item and regional baked goods absolutely depend on the flour to turn out correct in texture and taste. The loss of regional foods doesn't stop at the grindstone of White Lily either. Potato chips seem to be one of the foods that define the snacking style of a region. Chicago is still reeling from the move of Jay's Potato Chips; where the smell of cooking potato chips has wafted over the South Side since the early 1920's. True, the manufacturing just moved over the border to Indiana but Jay's was a special Chicago brand and you knew you were within 50 miles of Chicago if, when you went into the store or the gas station, there were those Jay's Potato chips in their distinctive blue and white bag. I'm sure there are many, many other cases of regional food losses that I am not even aware of but whose loss is deeply felt in the regional food fabric of their areas. Which brings me to the point of this little rant. I think it is time for some protections to be afforded regional specialities and brands in the United States, not unlike those afforded Bordeaux wine and Stilton cheese. It is also time we, the food community, start supporting these local brands. They are part of makes New England different from New York and New York different than New Mexico. Without these foods, what little is left that identifies the culture and history of food in this vast country is diminished; especially since often the regional specialties are made from these local brands. Here is a list of regional brands that, if you live near, please consider purchasing. These regional brands, even if the brand is owned by a conglomerate, are made locally to serve the region and thus are part of your area's unique food culture. After all, it is all part of "eating locally" and remember by keeping these brands local, you also keep the jobs local. If you aren't a local, consider when you are traveling in these areas, picking up a bag of local brand chips or a can of the local soda pop. Or better yet, create your own regional brand care package to send back home and share with your friends. Because, the brand you protect might just be your brand. Oh, and if you don't mind, give Kraft a call or drop them an email and let them know that they need to bring back the Crown Pilot and the Royal Milk too. I and the rest of New England would really appreciate it; especially since chowder season is right around the corner and I can't imagine making corn or clam chowder and not having my Crown Pilot to dunk! Note: I'd love to populate this with brands from all over the US. So, let me know some of the regional brands from your area. Leave me a comment and a link or drop me an email. I'll add it to the list and I promise when I travel to your neck of the woods, I'll pick up a few regional brands for myself. In case you haven't figured out by now I have an obsession with old cookbooks. Not only do I collect them but I actually enjoy cooking with them. Luckily, I have several really good blogging friends, like Laura Rebecca, who enjoy cooking from their old cookbooks as well. So we always have something fun to share or a recipe from one of our "oldies but goodies" to swap. 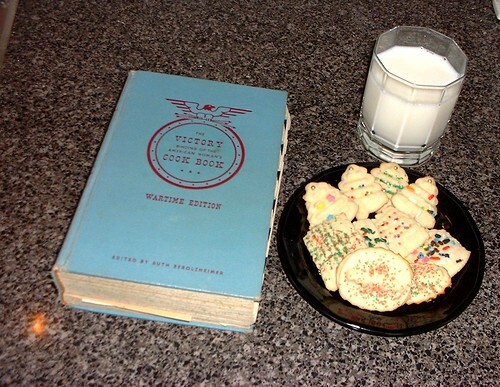 One of my oldest foodie friends, Stephanie of Dispensing Happiness, even cooks every week from The Victory Binding of the American Woman's Cookbook (VBotAWCB) - Wartime Edition for her weekly feature "Wartime Wednesdays". In fact, it was this cookbook that first brought Stephanie and I together because I commented once on her Wartime Wednesday posts that I have my grandmother's copy of this book and cook from it fairly often. One of the very first food posts ever at The Sour Dough was from this wonderful look at the mid-20th Century gem American housewife that showed her how to stretch her food budget in times of rationing and high food costs. Hmm... high food costs? Recipes designed to help the American housewife stretch her food budget? Sounds like just the cookbook The Pantry Plan ordered! So, I'm joining Stephanie this week with a Wartime Wednesday offering of my own with Rice A La Creole from VBotAWCB Wartime Edition. I served it tonight at another backyard dinner for friends along with a recipe from Saveur that I will be telling you about later. Using some leftover rice from the fish dishes I made earlier in the week and some tomatoes from my garden, this was a very quick and easy dish to assemble and was a light and filing main dish. It would be the perfect side with a roast chicken or pork chops. I'm going to be making this again and maybe even add a few spicy ingredients and serve it with some Mexican or South American dishes I have been wanting to fix. I received my replacement USB cable for my camera today! Meaning I can once again upload photos. Good thing too because after my past two days, I am about out of disk space. So, I thought I'd do a photo post of the photos that I took the past few days and link back to the posts for which they were originally intended. 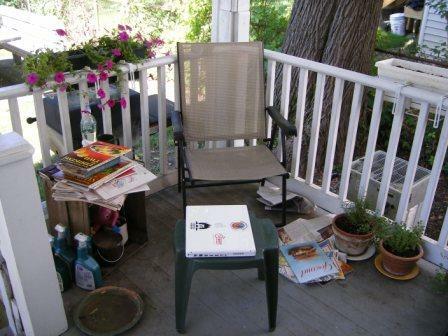 and told you about my lazing around the back patio with my paper, cookbooks, food magazines and computer. 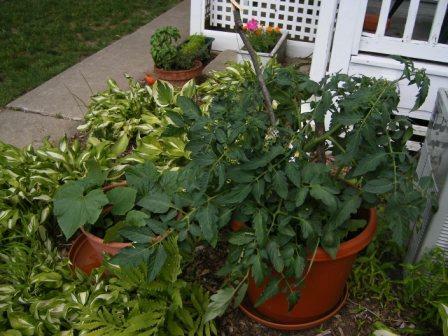 Of course you remember my McGyvering of the tomato plant to my neighbor Erica's porch. 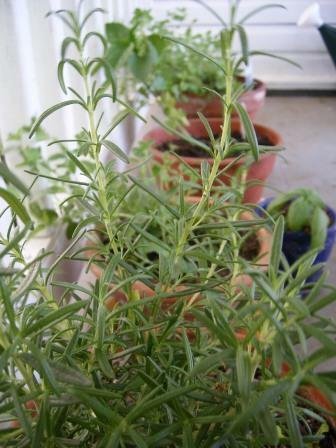 and the basil plants that something is munching on. 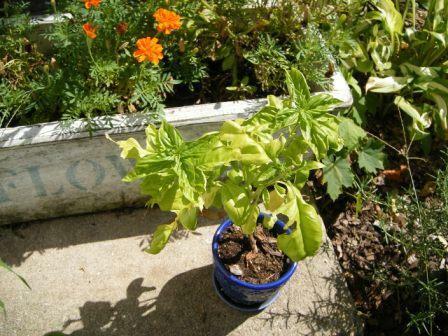 If anyone has any ideas about what is eating my basil and what I can do to prevent it, please let me know. The soapy water isn't working and neither is the organic bug spray. One of the first things I made when I got back from Sun Valley was a batch of Thai noodles. 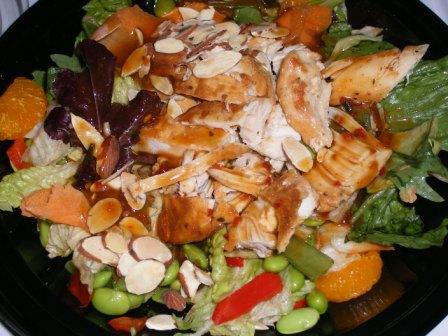 I had some left over so I tossed them into a salad with some chicken breast, Mandarin oranges, some edamame, and some nuts for dinner one night last week. 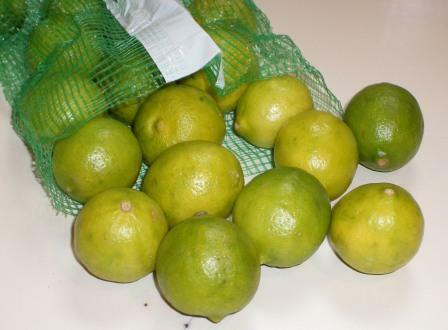 While I was away a really good friend's parents sent me some Key Limes from their back yard tree. 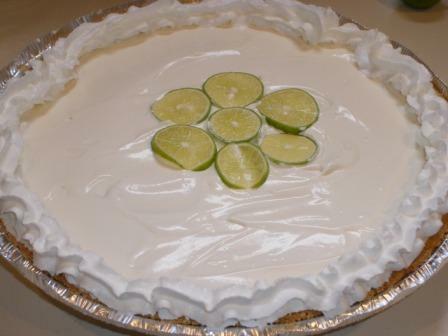 So on Sunday, I made Tart Reform's Easy Key Lime Pie. It was about the best Key Lime Pie I've ever had. And Kelly of Sass and Veracity's fabulous Non Cowboy Caviar for a backyard gathering of my house mates. 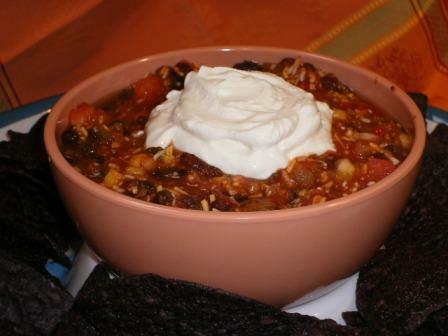 I'm telling you, go over to her site, get the recipe and make it this weekend! You won't be sorry you did. I've got some pictures from a down and back trip to New Jersey I made today and a fantastic, light and easy fish dish from Cooking Light to share with you in the next few days. Luckily, I can actually post both the words and the photos together now! What a Difference One Week Makes! Calories, carbs, fat, protein & fiber nutritional information from CalorieKing.